Smile for a Lifetime Foundation is a charitable non-profit organization that provides orthodontic care to individuals who may not have the opportunity to acquire assistance. Launched in 2008, Smile for a Lifetime Foundation aims to reach individuals with financial challenges, special situations, and orthodontic needs. The Foundation sponsors the orthodontic care of hundreds of patients each year. Smile for a Lifetime Foundation has participating orthodontists throughout the US. Each chapter has its own local Board of Directors who choose patients treated by the Foundation. 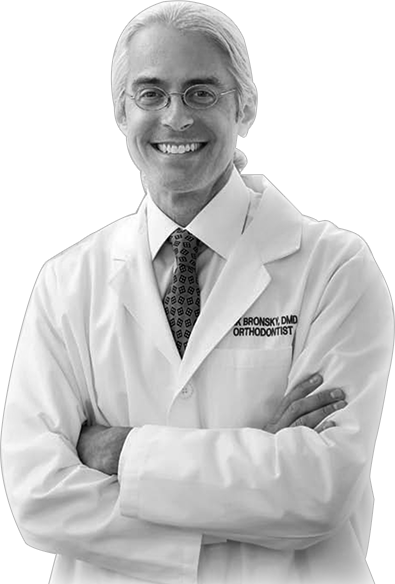 Dr. Mark Bronsky is a graduate of the University of Alabama School of Dentistry and the University of North Carolina at Chapel Hill School of Dentistry where he specialized in Orthodontics. He is founder of the New York City Chapter of Smile for a Lifetime Foundation. He is a current Board member of the National Smile for a Lifetime. He is an orthodontic specialist and owner of Bronsky Orthodontics for 20 years in New York City, NY. To become a candidate, interested patients must complete (or have completed for them) a Smile for a Lifetime Foundation application that is available only online here. Applicant must fill out and submit application and applicant questionnaire. Both should be submitted electronically. Letters of Recommendation are mandatory. Please do not submit more than two letters, and limit each reference letter to one page each. Must be written by; school, church or community leaders that know the applicant. Applications must be submitted with an attached, clear, photograph of the applicant’s full smile with teeth showing. Applications will be reviewed following an August 1, 2016 Deadline for submission. Submit your completed application, applicant questionnaire, photo, and letters of recommendation to: info@bronskyorthodontics.com. For questions call 212-758-0040 or email:info@bronskyorthodontics.com. Applications that do not meet the above criteria will not be voted on by our Board of Directors. Our Board of Directors will meet biannually to make their selections.